Extract from Me, say the LORD. 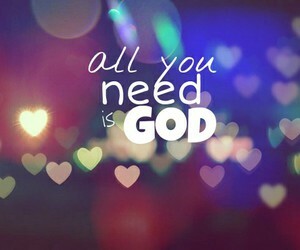 For all that you need is in ME. Draw it out. I Am your total source for all things and all you need to do is ask and receive that your joy may be full. You have asked me to bless you. Now receive what is freely yours. Draw from the well of My salvation freely as you come into My presence where there is fullness of joy. Fullness of joy awaits you in ME always. You do not have to plead. I have already given you all things that pertain to life. Abundance of life is what I have for you always. I Am your life. I Am your all in all. There is nothing that you need that has not already been given and it is all in Me. JUST receive it by faith in My shed blood and finished work on the cross. Will you see Me as your total source and endless supply? Come and eat and drink at the table of My presence and enjoy all that I have appropriated for you. Be fat and full of My blessings, says the LORD. My table is loaded with daily benefits that will never be depleted regardless of what you extract from Me. There is a constant flow that I desire you to have and I will complete you in Me, says the LORD. Let My Spirit of life flow into you and enjoy all things that are already yours as you come and receive of ME continually, says the LORD.